BabaCheap | Ethnic fashion for a cool style and hippie chic ! 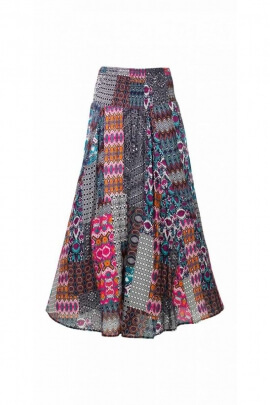 Ethnic clothing: Cool, bohemian and hippie chic style! But not only:In addition to the forum of mutual aid and ideas where fans of ethnic fashion share their experiences, their styles and their favorite articles, Babacheap also presents his blog full of good ideas and real fashion tips. A complete e-commerce site to answer your current requirements as closely as possible. WHY do you care about BabaCheap? Simply to take advantage of the prices to break everything on the promotional products of course, but also to discover over the weeks the original articles that may make up your wardrobe. Discount price BabaCheap, is also the signature synonymous with discount prices on most items of high quality, meticulousness on every detail, originality renewed, all with a price that does not refuse. Just for YOU, BabaCheap organizes one-off discounts of up to 50% on many items! Regular promotions ensured throughout the year.. In short:Good business on the horizon! Discover our collection of ethnic clothing for women: Sarouels, colourful dresses, original summer skirts and ponchos. Discover our collection of ethnic accessories for women and men: Hats, caps, scarves, hair accessories or original jewellery. Come visit our blog, it contains a lot of information about our products, ethnic fashion and travel in general. Come and participate in discussions about ethnic fashion and travel in general. Want to offer ethnic clothing or accessories to a loved one? Offer a gift voucher and let them choose something from Babacheap! Cheap ethnic clothing, on BabaCheap you will find discount prices targeted on most high quality items throughout the year. Low prices that do not refuse. Ethnic fashion hippie chic ! *** In addition *** For all posted reviews, try to win a REDUCING VOUCHER! 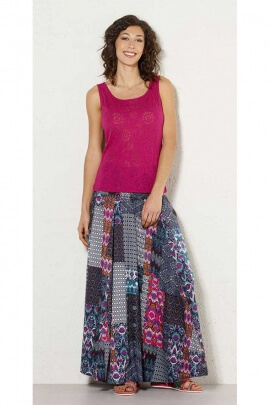 BabaCheap, your shop in ethnic clothing for a cool and hippie chic style ! Are you chic hippie, baba cool, bohemian or a medieval style, you want a break from the norm, you like colourful and casual clothes? Look no further! 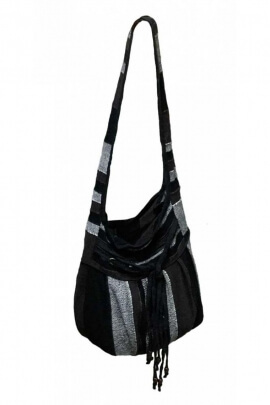 At BabaCheap, we offer more than 500 references of ethnic clothing and accessories at discount prices. 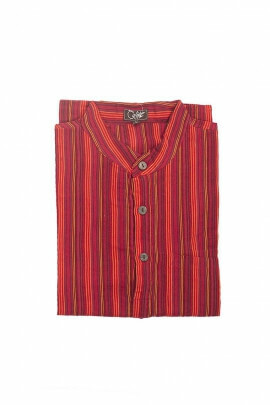 Our goal is to offer a large collection of original clothes at competitive prices. Ranging from coloured sarouels for women and men to the poncho, romantic or bohemia styled embroidered blouses, dresses and skirts in all sizes - timeless knitted caps and canvas bags - on BabaCheap you will find clothes from around the world. With BabaCheap, travel the world of fashion in a few clicks! Introduce friends, earn a reducs ! Ethnic fashion has become a marketing tool nowadays to promote Ethnic-inspired clothing as well as Hippie Chic, Bohemian, Baba Cool, Boho, Romantic, Tribal, Original Look and much more. A source of inspiration constantly renewed on the originality of the ready-to-wear and its accessories. Very trendy, they invade our wardrobes, wear gloriously in all seasons, provided we are able to make good assemblies! Major brands often equate this fashion with bright colors and colorful. Making the happiness of the big and the small, they are carried easily. Indeed, ethnic clothing is characterized by an ethnic group. This mode has an identical code that is hers: an acronym, marks, drawings or patterns that will speak about their language. Some will reflect this language from clothing. And this is what we will discuss in the next section. The ethnicityTo better understand ethnic fashion, we need to know concretely what the term "ethnicity" means. This notion is linked to a culture, a know-how shared by a community. More specifically, it is a term that defines a small entity formed by a group of people. These individuals will share together values around a socio-cultural heritage such as language, a belief in certain traditions. Ethnicity is a feeling of sharing common inspirations. The specificities of each communityThe climate, the geographical area can influence ethnic fashion. We often find in hot places piercings, scarifications or acts on the naked body. While in remote corners of China or in the colder regions, one finds rather ethnic clothes and accessories that keep warm. The question of survival is also crucial in the development of clothing and accessories. That's why you'll find armbands in India and all over South Asia. The example of ethnic fashion: ThailandThai women in their traditional outfits are distinguished from each other by their clothing. The Hmong women are located in northern Vietnam but also in Thailand, with their brightly colored costumes with scrupulously worked patterns. The famous Hmong outfit consists of a blouse jacket with long sleeves, a pleated skirt embellished with batik patterns, an embroidered belt and a traditional hat called "turban". The Yao outfit is easily recognizable with a black turban and a dark-colored garment, pants and a long dress with a belt. Ethnic fashion itselfOne often wonders what is ethnic fashion. We always put this idea of ​​dress composed a little of everything. Nevertheless, ethnic fashion goes beyond that: it is the story of a people, a life that is codified from clothing and accessories. It finds its true origins in the ways of life, the techniques, the customs of everyone, a people and their traditions. It is therefore a set of identical code and common to a group or a community. And when we talk about fashion, we can say that ethnic fashion includes criteria defining a style of clothing: the material, the colors, the shapes, the cuts, etc. Take the example of Gothic fashion where black, leather predominate. It can therefore be said that ethnic fashion includes clothing characteristics related to a geographical, sociological and historical environment. If everyone is free to have a definition of ethnic fashion, the key is to keep the meaning. It is not nothing if ethnic fashion is called "sustainable" because it is inspired by the fair trade model. It is concerned with social and environmental issues and is committed to creating an alternative fashion in its production process. Opting for Ethnic Outfits You can choose to wear ethnic clothing in its entirety: from head to toe, or mixing it with others. Since there is as much style as ethnicity, clothing can vary with culture, language. For example, Asian ethnic groups recognize the wearing of certain clothes, black, red or floral hmongs. 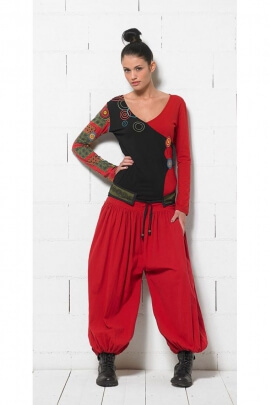 The harem pantsWhen talking about wearing ethnic outfits, it is impossible to dismiss the sarouel. We can even say that it is one of the forerunners in this area. Available on the market, new models are added to the classic styles. 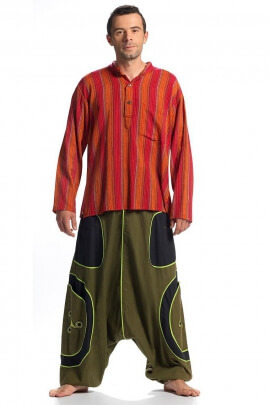 Indeed, the harem pants is an ethnic garment of Persian origin, greatly appreciated by both women and men. Its comfortable side and wide design provide a look that is both traditional and classy. Nowadays, you have the opportunity to have the color and cut that you prefer. 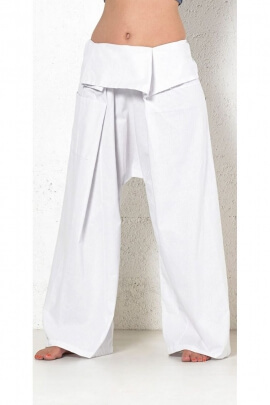 If you have an appointment with friends for a party or if you go to work in a relaxed atmosphere, choose a harem pants urban and trendy. Basics for dressing with ethnic clothesTo wear ethnic clothing, there is a minimum of rules to follow at the risk of going for ridicule. To put forward his ethnic clothes, do not fall into overdose. For example, you can wear a Mexican combo with a poncho with patterns. Ethnic dress at work You can also adopt an exotic look without being labeled: choose the pieces that hold like jackets, straight pants, wrap dresses, not tunics. The right balance is to wear an ethnic piece and another that denotes chic. With a sleeveless dress, you can for example wear sophisticated high heels. The origins of ethnic fashion and the origin of the movement Ethnic fashion is a phenomenon from the 80s / 90s, some of which are much further. It is above all avant-garde brands that advance sustainability in fashion by choosing the manufacturing materials in the concern of respect for the environment. It originates from both traditional fashion and modernity. It mixes both ancestral and contemporary style with bold and energetic lines. It's also a mix of international as well as nostalgic inspirations. The creations will be based on African, Asian and Latin models. In many primitive cultures, tribal accessories were objects of recognition, but also adorn the body beautifully. Ethnic jewelry in Asia has been used to conduct rites or to venerate a God or a deity. The most classic are bracelets, necklaces or earrings. This type of accessory will provide a previously defined frame for a ritual. 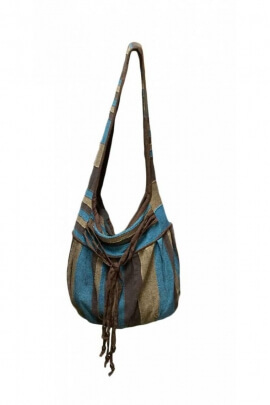 Fair TradeEthnic fashion is based on fair trade, because it denotes a certain social conscience. Its purpose is to improve the working conditions of workers and producers in the textile industry. EcologyEthnic fashion cares about its impact on the environment. Since the industry is a polluter element in the world, the ecological mode aims to minimize the impact of carbon dioxide. The recyclingOriginal ethnic clothing uses the recycling of manufacturing materials and is built from other garments. DurabilityEthnic clothing embodies timeless and timeless fashion. A consumer who chooses to buy item type knows he buys a good quality to buy less, so consumes less. Ethnic clothing gives a certain specificity to the outfit. Indeed, their authenticity and quality make them original. While it is somewhat awkward to wear outfits like tribal women, it is possible to adopt the ethnic style by procuring clothing and accessories from artisans or specialized stores. Industrial and craft manufacturing techniques differ according to the products, the choice of materials and the manufacturing processes. That is why it is advisable to opt for ethnic clothing and accessories. In addition, it also gives artisans or small structures a chance to simply work for a decent income, but also to pass on traditional know-how to future generations. It is not enough to wear ethnic clothes to adopt a completely ethnic style. It's also a state of mind: to know where the product comes from, its history. It is also to show acceptance of the traditions and cultures of everyone, to deny any form of non-conformism. To acquire ethnic clothes is to travel, to discover the craftsmen of the world: beautiful silk scarves in Thailand, high-colored textiles in Africa or Asia in India and even in China .. If you want to 'a beautiful colorful pouch embellished with embroidery, Mexico is a specialist. For a long time, we've been hearing about ethnic fashion. Ethnic fashion always fills all pages of magazines and fashion magazines. It is sometimes used for marketing purposes. With more and more creativity, the great fashion designers are inspired by the traditions of the ethnic groups to create the most beautiful clothes that are both comfortable and stylish. Ethnic fashion today is creating the future from the past and distant inspirations. 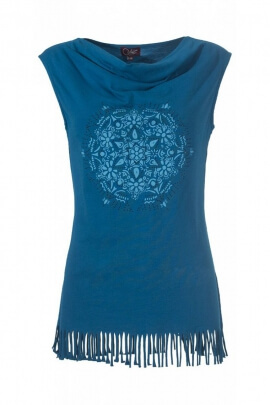 To be chic and original dressed in summer, the wearing of chic ethnic clothing is topical. More and more inescapable in the fashion, the clothes of traditional models, inspired by ancestral techniques complete our outfits of every day. Chic ethnic clothing for womenThe choice of your ethnic garment will depend on the event you are going to. If you intend to go to a wedding or a party whose outfit is bohemian chic, for example, you must above all choose a suit adapted to the circumstances. 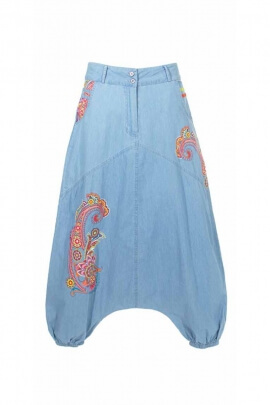 You can opt for a rather wide cut, a long dress for example made from flowing fabrics. However, you can choose a short dress with transparent veils. Remember that colors should be light, with pastel shades. By alternating lace, silk and cotton, you will probably be close to success in your ethnic chic outfit! 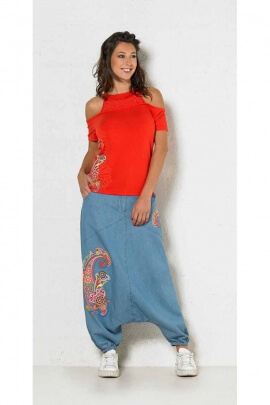 Ethnic clothing for menTo adopt the ethnic look, men will be able to use ethnic shirts and this famous harem pants also dedicated to men. 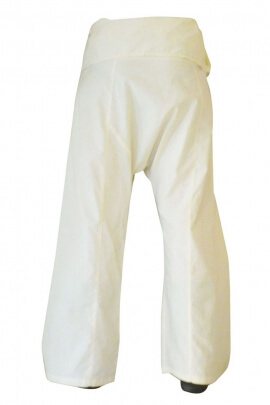 And if that does not suit you, you can always opt for these pants made from hemp or high quality cotton. To complete all, you can enhance your outfit from accessories such as bags, bracelets or watches. In France, many stylists take the forms and ethnic patterns to create a new ethnic garment or complete an outfit. 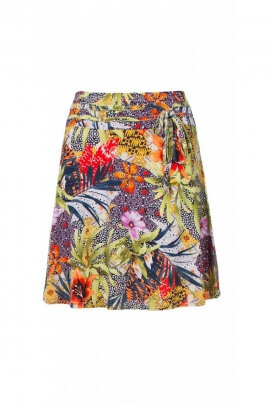 Also, we find on the summer outfits of African or Indian prints on very current cuts. Ethnic fashion is not just a simple inscription of patterns on a blouse or miniskirt, it is about wearing an authentic and exotic piece combined with a modern outfit. This mix of styles and cultures as much as it is well managed and composed can give a wonderful result. Whether your destination is Asia, Africa, Morocco or Spain among other things, you must have in your luggage one of these ethnic clothes on which to bet and to dress exotic, while remaining at the same time chic: the Saharan cotton dress, the right skirt, the pantsuit, the embroidered saree-style blouse, the straight dresses in bright colors, without forgetting of course your printed jersey, harem pants or light baggy trousers. Chest generous : how well the dress ? A spring of very ethnic, this is how we will define the fashion trends that défrayeront the chronicles for this season. Without waiting, check out this summary of the must-haves of the fashion ethnic of the spring. The cornerstone of the fashion of the ethnic, the Stone Wash is much more than a finish. Argument of style, originality and modernity... The Stone Wash what is it ? Babacheap is your reference site for the destocking of ethnic clothes and accessories! Thanks to our loyalty and sponsorship program, each order gives you significant benefits. Do not hesitate to subscribe below to our newsletter to take advantage of offers and new features in preview! Your email address will be used by Solenzo to send you our newsletters and, unless you object, to meet our marketing needs. You can exercise your rights of access, rectification, opposition, deletion, limitation, portability and define the fate of your data after your death at the address: Contact. BabaCheap, the specialist outlet site for clothes and ethnic decorations, guarantees you a secure payment system and protection of your bank data thanks to our SSL server . Purchase our ethnic products with peace of mind and at the best price!